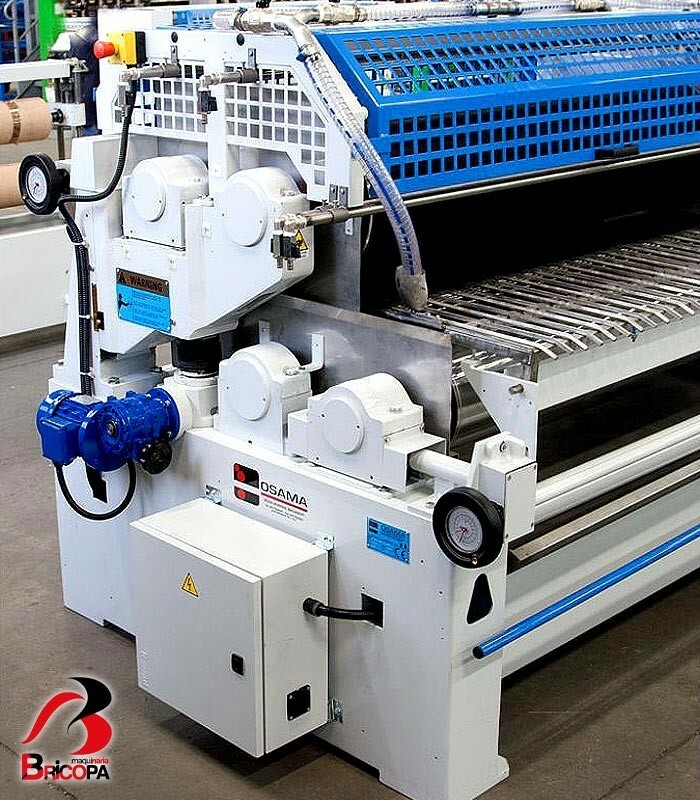 AUTOMATIC GLUE SPREADER MACHINE SV4X4-350 4 ROLLERS 4 MOTORS OSAMA: this model of glue spreading machine with four rollers, has been designed mainly for the manufacturing industry of multi-layer panels. 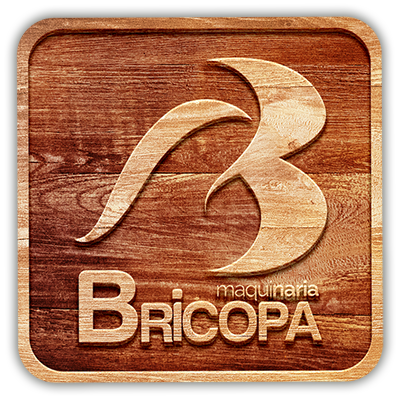 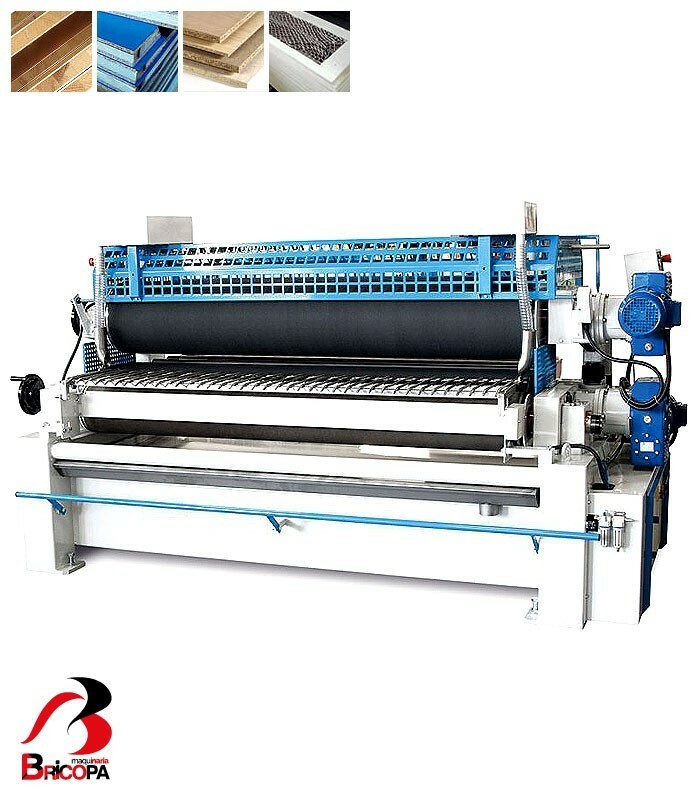 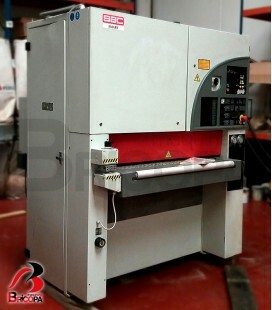 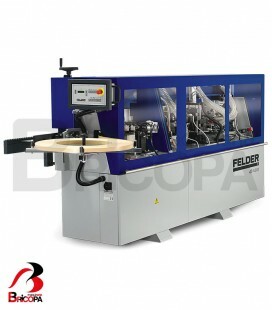 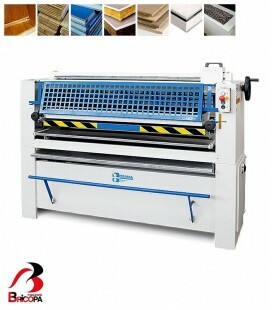 The machine is also appreciated with lower working widths and for glue spreading for door production, panels to be covered with thin papers from coil, glossy laminations and other processings with very long working cycles. 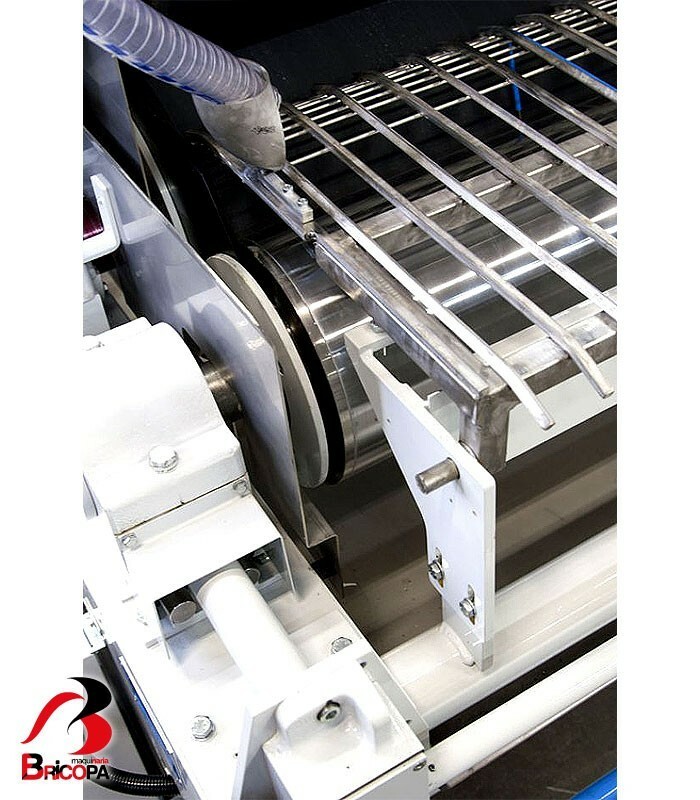 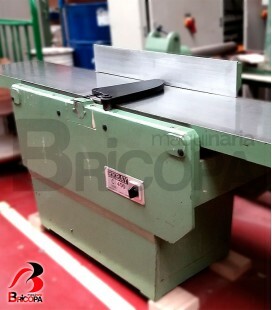 The thick metal sheet structure with iron cast supports, the glue spreading rollers with a diameter of about 350 mm. 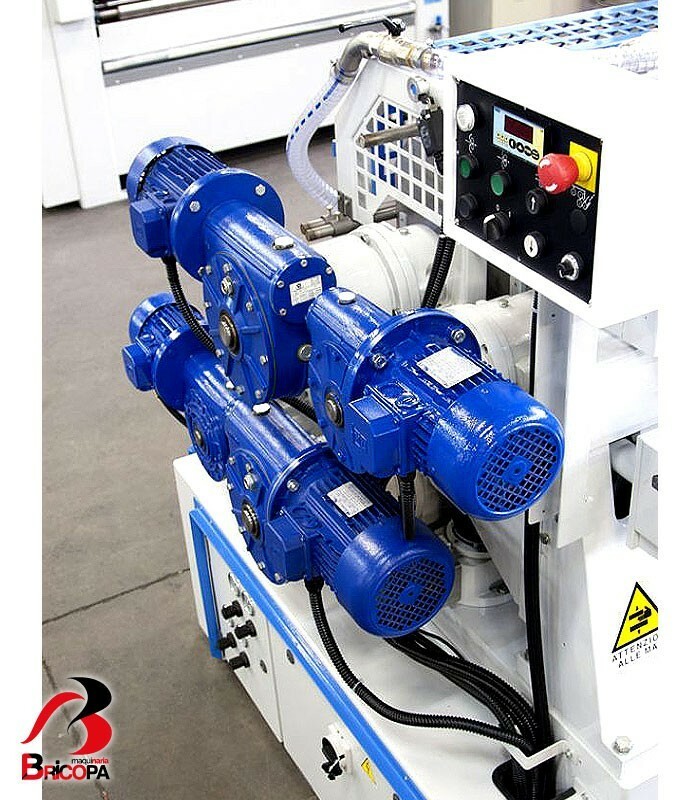 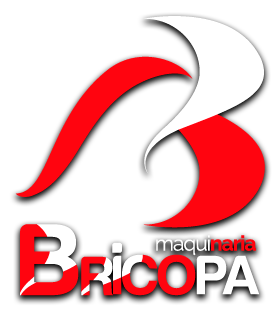 The easy access to the moving and regulating parts to carry out maintenance works, lubrication, direct transmission of gear motors on the same axis of each roller, simplify a lot the working phases and the maintenance works on the machine, for the operator. 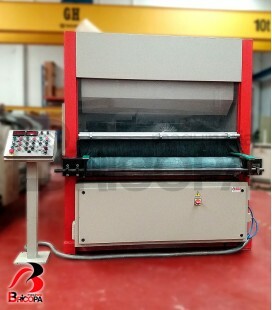 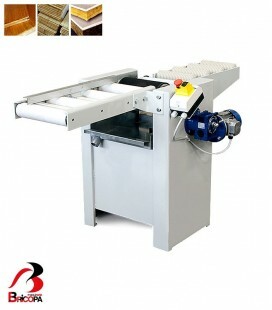 With such technical features OSAMA is able to perform glue spreading machines with a working length up to 3600 mm and to guarantee the maximum result for the glue spreading over the surface to be glued and without waste, to guarantee that every glue spreading machine is realized for the type of work and the exigencies of the customer. 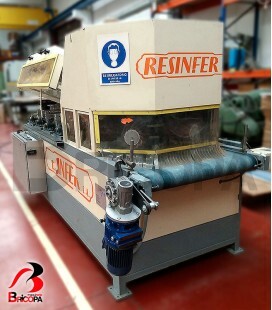 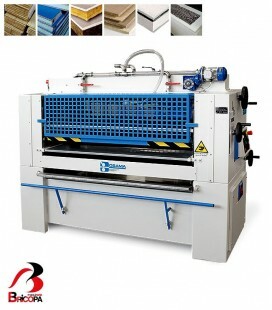 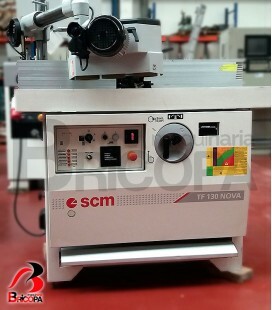 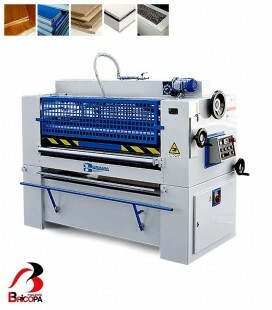 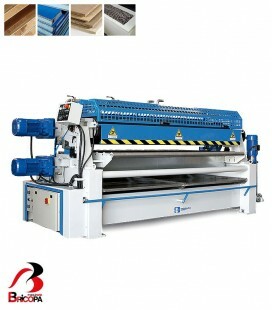 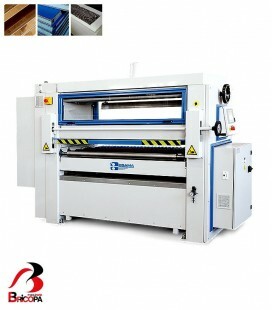 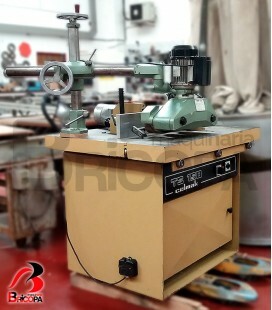 There are a great amount of accessories for this machine model, thanks to the easy access to the various machine parts. 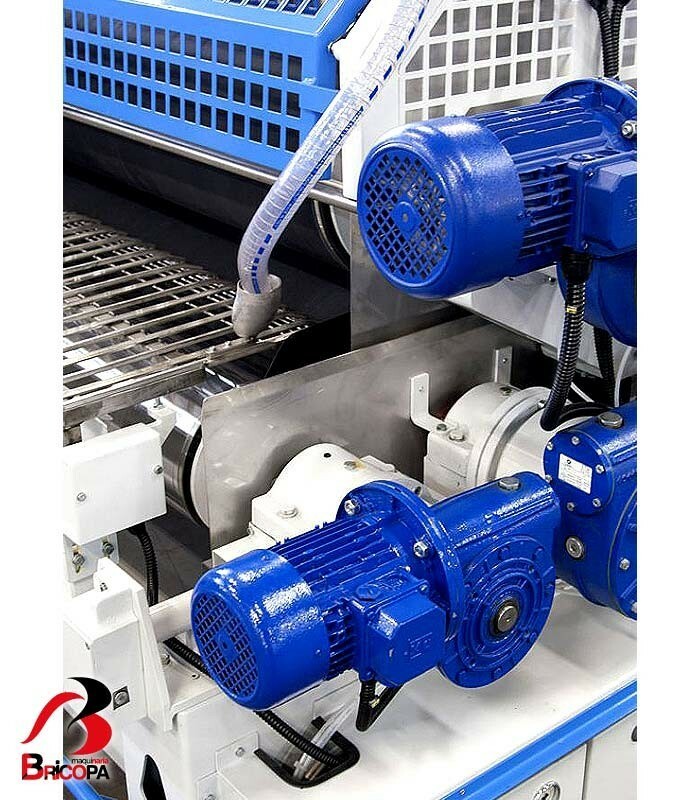 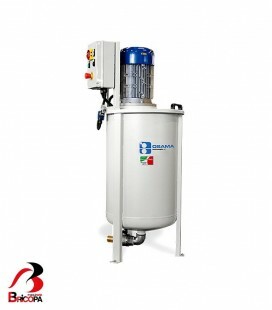 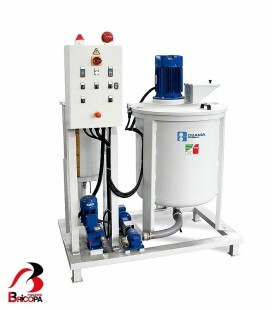 For instance the automatic washing system of the roller, with a pneumatic longitudinal movement and nozzles mounted on steel pipes for each couple of upper/lower rollers, using a centrifugal pump mounted on board on the machine, to guarantee the right pressure range of about 7 bars.